In the same spirit as the Edwin Lutyens dolls’ house, the architects and designers have been encouraged to collaborate with their own artists, designers and furniture-makers. Among others, FAT has worked with Grayson Perry, David Adjaye with Chris Ofili, Guy Hollaway with Hemingway Design and Studio Egret West with Andrew Logan. 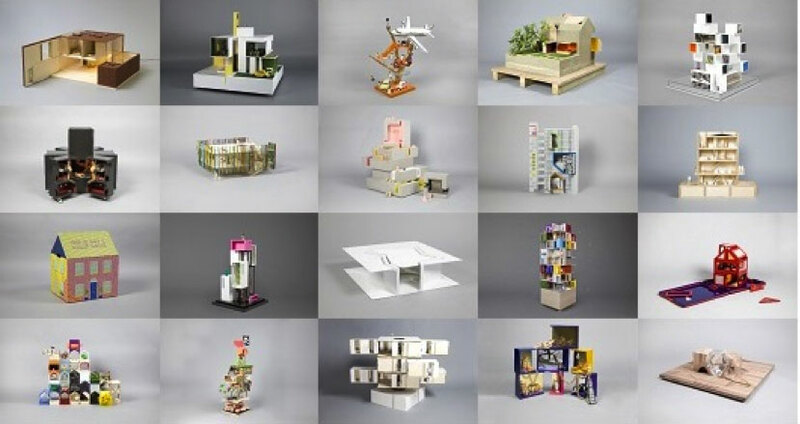 Each dolls’ house – which fits on a 750mm x 750mm plinth – also includes a unique feature to make life easier for a child with a disability. 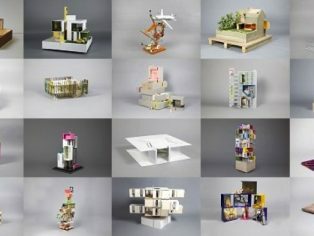 A selection of the dolls’ houses are on show at Senator, 11-13 Melton Street, London, NW1 2EA, Monday to Friday, 9-5pm. KIDS is a UK charity supporting disabled children, young people and their families. They run home learning programmes, specialist nurseries and crèches, short-break programmes for disabled children and a series of inclusive adventure playgrounds. They offer a wide variety of services to parents of children with disabilities and programmes for siblings of disabled children and young carers. A Dolls’ House has been kindly sponsored by Bonhams, Domus, Alno, Marley Eternit, Greenberg Traurig Maher, Realise Creative, Development Securities, Quatro PR, ING Media, Cadogan Tate and Thomas Butler.